Historical character and convenience for boarding a cruise make the port of Baltimore truly stand out. 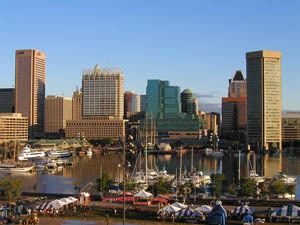 Presently, Baltimore is the departure point for two of the largest cruise lines, with multi-night vacations headed north toward Canada or south to Bermuda and the Caribbean islands. 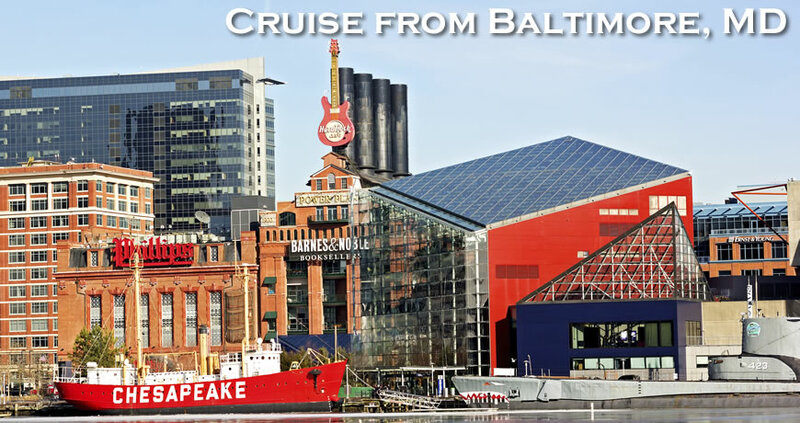 Nearby hotels, parking, and package deals make Baltimore a great location to start your cruise vacation! Royal Caribbean and Carnival Cruise Line both offer cruises departing from Baltimore, MD. Royal Caribbean's Grandeur of the Seas travels to Bermuda, Canada, New England, and the Caribbean while the Carnival Pride sails to the Bahamas and also the Caribbean islands. Both of these cruise ships sail year-round from Baltimore, so no matter what time of year, there will always be a cruise deal just for you! 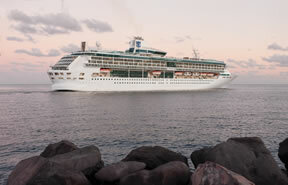 Best of all, a wide variety of cruise length options exist. Guests can choose to embark on short 5-day cruises from Baltimore or extend their vacation with a week-long Caribbean cruise adventure. 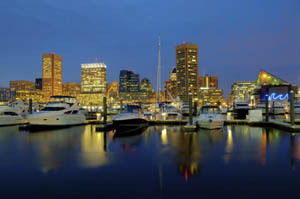 Direct Line Cruises offers highly competitive discount cruises leaving from Baltimore. Save hundreds of dollars plus receive extra perks with your cruise such as free onboard spending credits and travel insurance. TIP: While last minute cruises from Baltimore md do exist, the team at Direct Line Cruises recommends that you secure your reservation at least 4 to 6-months before your desired sail date to lock-in early booking savings. For those that don’t know, the Port of Baltimore has a 300-plus year history. Then known as Whetstone Point, the location was designated as an official Port of Entry in 1706. Combined with five smaller nearby ports, it eventually became the Port of Baltimore and now covers 45 square miles of shoreline. 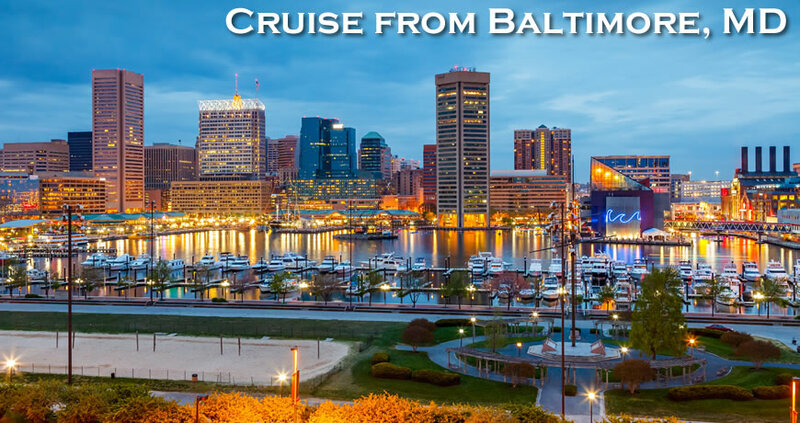 The cruise terminal is designated as South Locust Point, located not too far away from Baltimore’s well-known Inner Harbor area, a short drive off I-95, and a 10-minute ride away from BWI Airport. The facility is a converted 65,000 square foot warehouse, which provides paved parking and dredging for larger cruise ships. A mid-Atlantic seaboard location within driving distance of a major airport makes Baltimore an excellent departure point for a cruise. But, what if you are coming from out of the area? 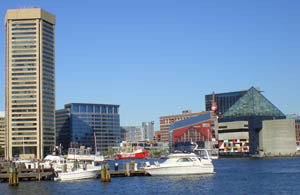 In this case, the Baltimore area has several hotels scattered about, in the city and greater metropolitan area and as far away as Annapolis. Bed-and-breakfasts, independent hotels, and chains all offer a comfortable place to sleep for the night, often with breakfast accommodations in the morning, before you set sail on your cruise. Larger chains, additionally, may offer parking accommodations for your trip or possibly provide shuttle service to the cruise terminal. Inquire, first, as you plan your trip. If you’re driving to take a cruise from Baltimore, keep in mind that the South Locust Point Marine Terminal lots require no advanced reservations, and long-term parking – ideal for the length of a typical excursion – is within walking distance. However, the check-in process at the terminal is not quick. Expect arrival time, from the main entrance gate to the doors of the terminal, to take at least 25 minutes. With all of these cruise options from Baltimore, Maryland, there is no reason to ever consider flying again. 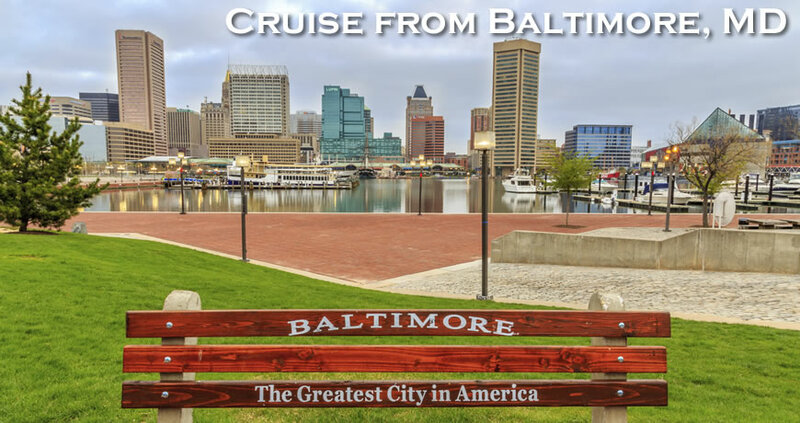 Now the only tough part is deciding which cruise line to choose when sailing from the great city of Baltimore, Maryland. Whether your're looking to book a cheap cruise from Baltimore, MD or an all inclusive cruise from Baltimore, the team at Direct Line Cruises has your vacation needs covered. For more information, call Direct Line Cruises at 1-800-352-8088. - The South Locust Point Cruise Terminal’s entrance is on the right. - Follow the signs to the South Locust Point Cruise Terminal’s entrance on the right. Due to strict rules surrounding the close of check-in, please note that the arrival process can take as much as 25 minutes from the main entrance gate of the port to the doors of the terminal – please keep this in mind when planning your arrival. Parking is approximately $15.00 per day (subject to change) and is payable upon entering the facility in the form of cash, Travelers Checks, Visa, Master Card, or American Express.